When fabulous, well-photographed jewels are stolen from bedroom safes at a health spa, the owners refuse to tell the police. 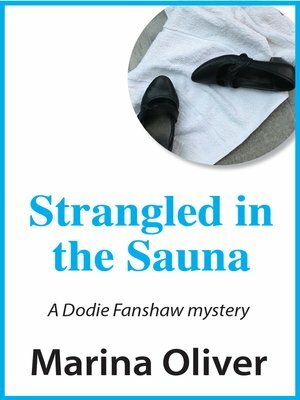 They are all, for various reasons, concerned that news of the thefts does not reach certain people.Dodie is persuaded to go to Yorkshire and investigate at the health spa, despite her aversion to massage and exercise. She agrees because the owners of the spa are cousins of Elena's boy friend. He, as a policeman, cannot intervene in another police area, but Dodie and Elena can do an inside investigation.How can bedroom safes be opened? Suspicion falls on the maids, but other employees have reasons to go to the bedrooms, and no one can be eliminated. Even those who cannot visit the bedrooms, such as gardeners, might be working with someone who can.There is also the problem of disposing of well-known, much photographed pieces, which could involve regular criminals. So the investigation includes the local village. They try to discover how anyone could have obtained master keys to both the rooms and the safes.And then there is a murder, and some surprising facts emerge about the victim.